Moisture and Humidity – Where does it come from? 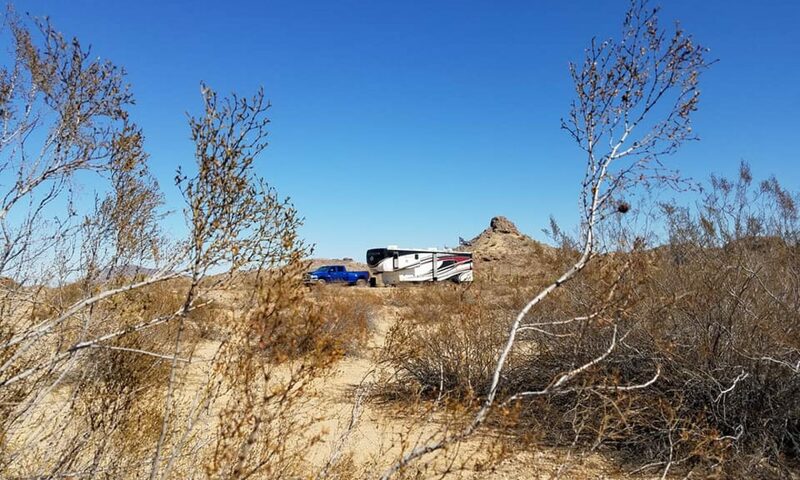 Humidity and moisture inside a camper or RV has potential of damaging your fifth wheel’s, travel trailer’s or motorhome’s interior. Thus, it could result in potential health risks as well as create unwanted structural issues. RV’s and Campers are not airtight. How could they be? 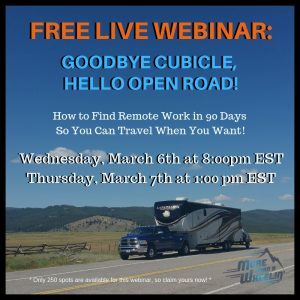 There are small access points everywhere in a camper or RV; whether it be a small cracked window seal, air gaps around plumbing pipes, slides with deficient seals, etc. Every time you open a door or window, you invite moisture inside your RV or simply by leaving windows and doors open on humid days. Certain areas of the Country are notoriously known for their humidity in the deep south and Pacific NW states. Cooking also presents moisture issues through steam and just the presence of water even from doing dishes or running water. And then there’s the bathroom. Whether running water to brush your teeth, washing your hands or the steam coming from the shower all present moisture in the air. Even humans and pets expel water droplets into the air. All of this in such small confines of a camper or RV could potentially set the perfect atmosphere to grow things by literally creating its own greenhouse effect. 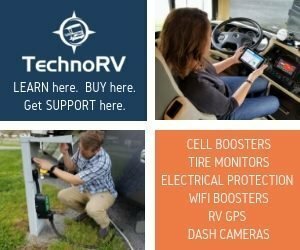 How to mitigate moisture issues in your RV or Camper? 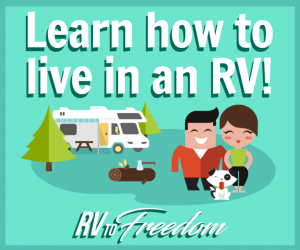 One way to eliminate moisture in your RV is to run your coach’s Air Conditioner. But if the air temperature doesn’t dictate AC use or your electric bill is just too demanding, then you should look into purchasing a dehumidifier or two. When we think of a dehumidifier though, we think of those big, heavy clunky things we have or had in the basements of our homes. However, those are way too heavy and generally speaking, overkill for campers and RV’s with less square footage. 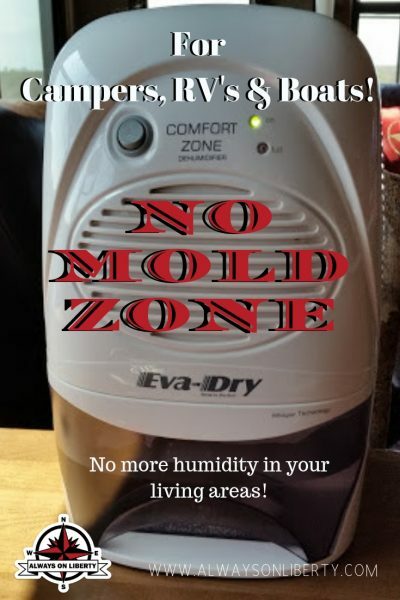 Shortly after buying our RV, we learned by others who were years ahead of us, we needed to buy at least one portable dehumidifier for the main living are. But then, after we had one, we bought another for the bedroom. 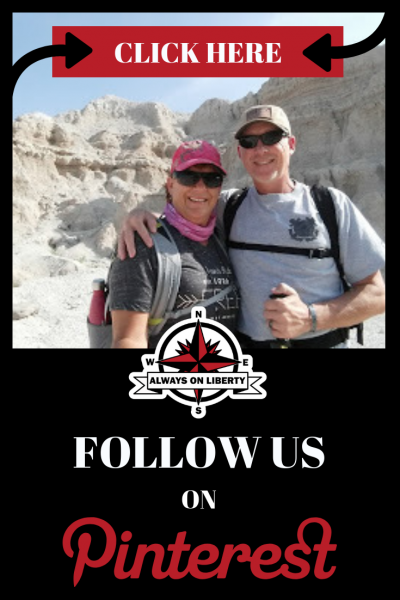 The two we recommend (because they have proven their worth to us personally) are manufactured by the same company EVA DRY. There are others out there however, since we have not used them, we cannot speak for their success or review. 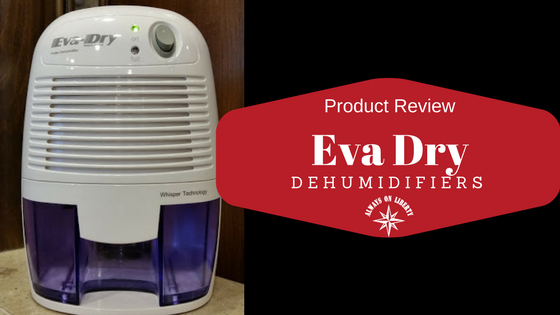 The EVA-DRY ‘Petite’ 1100 Dehumidifier (Model #EDV1100) Whisper Technology. It has a 9V 2.5A electric input. Its virtually silent. It has an on/off switch with a power indicator light as well as an indicator light to alert when it needs emptying. We purchased it from Amazon. We use this little guy in the bedroom on one of the CPAP shelves and is more than substantial for the bedroom square footage. Its perfect for small shelves or tabletops as it doesn’t take up very much space. It could be placed in a corner on the floor if preferred. We run it with the closet doors open when needed. This one is about the size of a football; very lightweight and we’ve found, on humid days, we only have to empty about every third day but it does the job required. The Eva-Dry Electric Petite Dehumidifier uses Peltier Technology (no compressor) which makes it light and quiet. It is perfect for bathrooms, and small to mid-sized rooms where dampness and humidity are a problem. This unit is small enough to easily fit on your desk or workbench. It extracts the moisture from the air and stores it in a spill-proof reservoir. Just plug it in and it quietly dries the air. Features an automatic shut off switch to shut the unit off when the water reservoir is full. When this occurs a”full” indicator light will alert you when the reservoir needs to be emptied. Holds up to 16 oz. 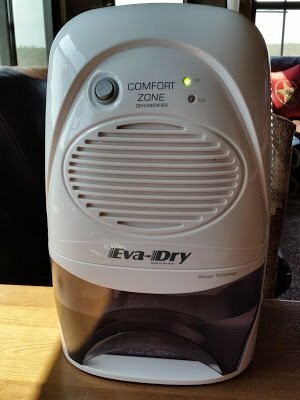 The bigger dehumidifier we bought at the same time is the Eva-Dry “Mid Size” 2200 Dehumidifier (Model #EVD2200). We purchased the Mid Size for about $100 (S&H free because we used Amazon Prime). We use this dehumidifier in the main living space (kitchen/living area). This one is a tad bit taller than the Petite but of course that’s because this one facilitates a larger space. Also ‘whisper quiet’, we don’t even realize its running; it’s that quiet. We place this one on the floor out of the way beside one of the recliners. This one also requires us to empty approximately every three days. 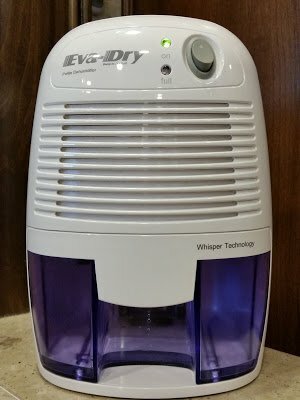 The Eva Dry Mid-Size Dehumidifier – Eva-Dry electric mid-size dehumidifier with Peltier (no compressor) technology which makes it light and quiet. The unit draws humid air in and heats it over a warm plate inside the dehumidifier, then cools the air causing condensation which is trapped in the removable, spill-proof reservoir. Dry air is then expelled out. It features an automatic water level detector switch to indicate that the tank is full. Built in handle for portability and easy to use controls. In a nutshell, we love these! They do exactly what they’re supposed to do. The $150 we spent for both of them was money well spent considering what the result could be if we didn’t have them. Seriously, we can tell that they are working because they are so quiet. 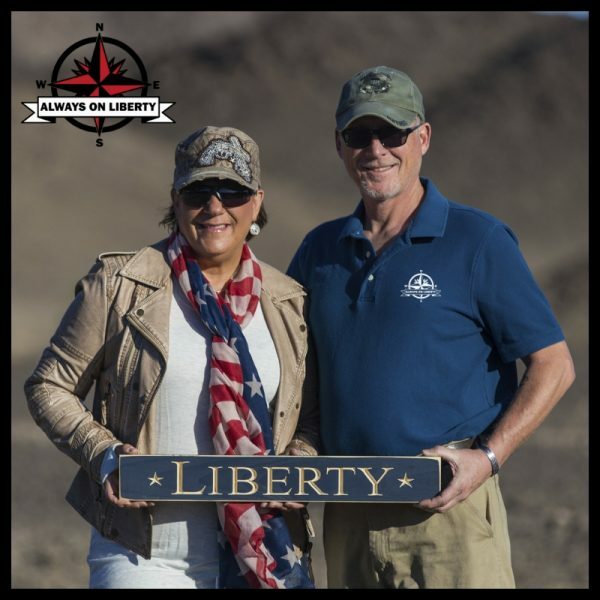 So, if you’re in the market of purchasing an RV, Camper or even a boat, put these on your shopping list of must haves. The small amount of money paid now for these dehumidifiers will be a huge amount of money saved later in mold and mildew induced repairs. Look at these as protecting your investment. These words are strictly from our experience and our opinion. We will not be held liable for misuse of this article, product or in the event they don’t work for your individual use or situation. 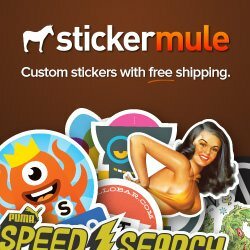 We recommend doing your own research and gather other reviews prior to purchase. This is very timely advice as we are victims of "unexpected" leaking during recent deluge of rain (who really expects trouble?). Thanks so much for your review. I'm subscribing to your blog. Absolutely love my dehumidifier. It’s a different brand, but the same size as the larger one, mentioned. Even with the a/c running, I have to dump it once a week. I also use the refillable damp rid containers, and the nonrefillable ones from the Dollar Tree. They work great in closets and other small areas. I have the 2nd one you listed. I have a tiny teardrop…. this summer it has rained ALOT…so the camper felt damp… this dehumidifier did the trick. I had to empty it twice on a 5 day trip..
Gary, Wow!! We’re envious that you are traveling with your Harley. That’s what we started out with; a Softail Fatboy and Softail Heritage Classic when we had our Cyclone Toyhauler. 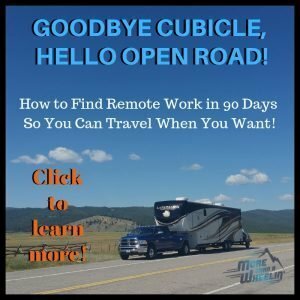 However, as full-timers, we had to re-evaluate our travels and expectations as motorcycle and RV nomads. We are glad that our suggestion of the dehumidifiers will work for you. We love ours! Small but mighty. Ours work great. 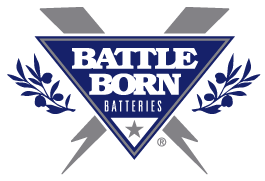 We love their portability and price.